Prime Minister Narendra Modi will address rallies in Uttar Pradesh's Bijnor and Uttarakhand's Haridwar on Friday. 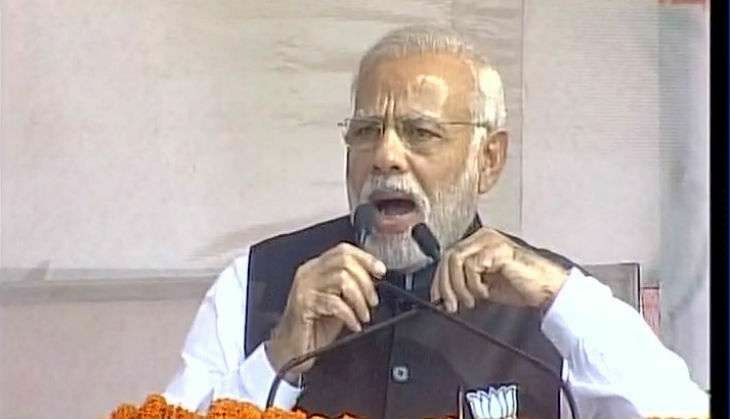 Earlier on Wednesday, Prime Minister Modi addressed a rally in Uttar Pradesh's Ghaziabad ahead of the upcoming assembly elections. While addressing the rally, the Prime Minister took a dig at the opposition for criticising government's demonetisation move, saying that some people have problem with his fight against black money and corruption. "Some people are in a problem because of my fight against black money and corruption, even after so many days they still talk about it," said the Prime Minister while addressing a rally in Ghaziabad. The Prime Minister further said that corruption has eaten the country like termites. "I can't fight against the corruption in Uttar Pradesh while sitting in Delhi. In order to fight against corruption, Uttar Pradesh must remove the corrupt government," he added. Uttar Pradesh goes to polls on February 11 and Uttarakhand on February 15.